Alessio is an experienced physiotherapist, Sports Massage therapist and Pilates teacher. He qualified as a physiotherapist in 2010 and has almost 10 years experience in various medical environments and wellbeing centres, both in Italy and the UK. Alessio holds bachelor’s degrees in Physiotherapy, Physical Education and Exercise Science & Sports, as well as a master’s degree in Adapted Sport Science for Prevention & Rehabilitation. Alessio is qualified to provide Holistic / Swedish massage, Sport / Deep Tissue massage, Myofascial draining micro massage (very light touch, super relaxing), Guasha tools massage (Chinese massage using tools similar to deep tissue) and Connective Tissue Reflex Massage (massage with only two fingers and long or very short lines to relax muscles, help scar healing or regularise hormones (strong period pain, headaches, irregular or absent period, fertility, etc.). 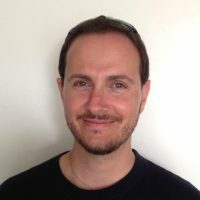 Alessio is passionate about learning new techniques and helping people heal and recover from injury, as well as manage pain. He is certified in Advanced Myofascial Induction Therapy (Madrid), Postural analysis, Vestibular rehabilitation & balance training, clinical pilates, visceral manipulations, mindfulness, Chinese acupressure and cranio-sacral therapy. Alessio adopts a very holistic approach towards the body, integrating all his skills and extensive experience towards an accurate diagnosis, and creating a tailored treatment focused on easing pain, restoring movement and preventing any relapse. Alessio believes in helping people to understand the primary cause behind the origin of their condition. Since his adolescence he has been surfer, skateboarder and snowboarder. When he is not working, Alessio enjoys dancing Cuban salsa, practising yoga & meditation, nature photography and cooking delicious Italian recipes.